The Hoare Memorial hall is one of the venues in Church House with a brilliant history. The hall played host to the House of Commons for a period during the Second World War. There is a plaque to commemorate this on the right-hand side of the room. 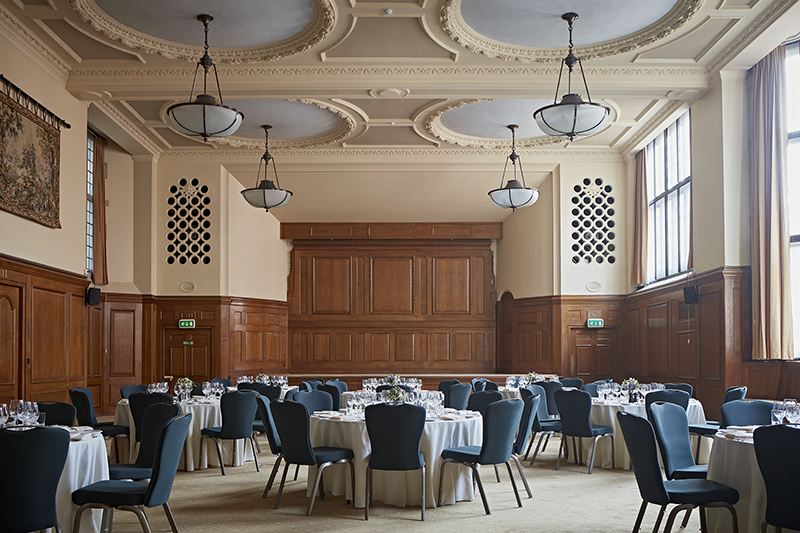 The venue itself has a stately atmosphere, with elegant oak panels, Art deco chandeliers and 3 large windows giving natural daylight throughout the room. At the far end of the room there is a built-in stage and at the opposite end a viewing gallery. 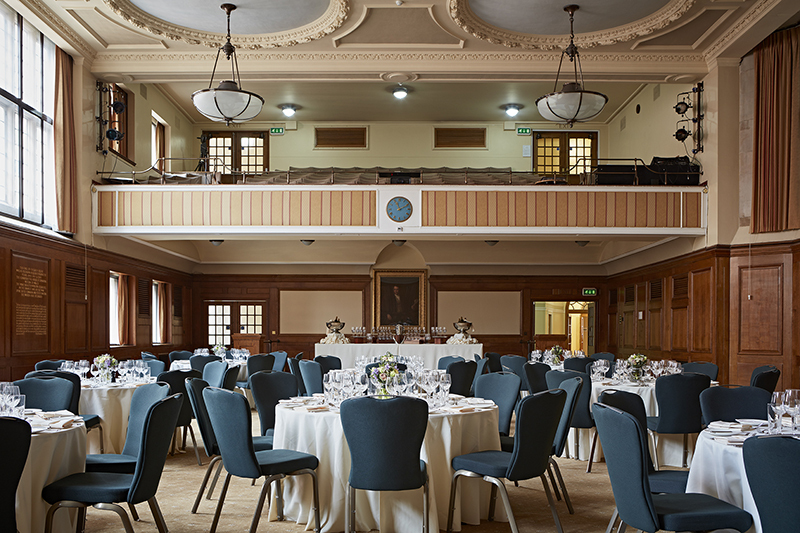 The hall is often used in conjunction with the Assembly Hall as a break our space for a large conference or as a catering space. It is also used standalone for all styles of events. During the day the events space can be used for breakfast meetings and buffet standing or seated lunch, with a large menu selector to choose from. 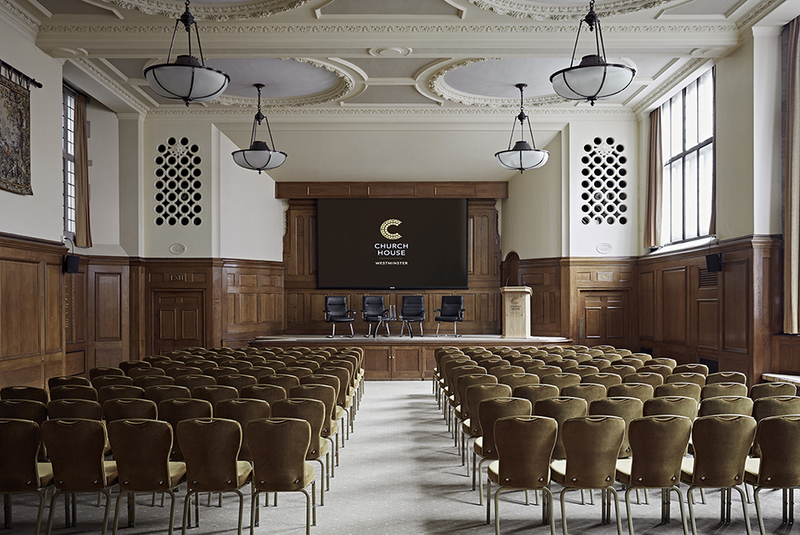 Hoare Memorial Hall is a perfect space for a meeting or a conference, it has a theatre style capacity of 270, with 220 seats on the lower ground floor and 50 seats on the gallery. For a cabaret style meeting the capacity is 104 on 13 tables of 8 delegates. However, boardroom capacity is a maximum of 55 delegates. 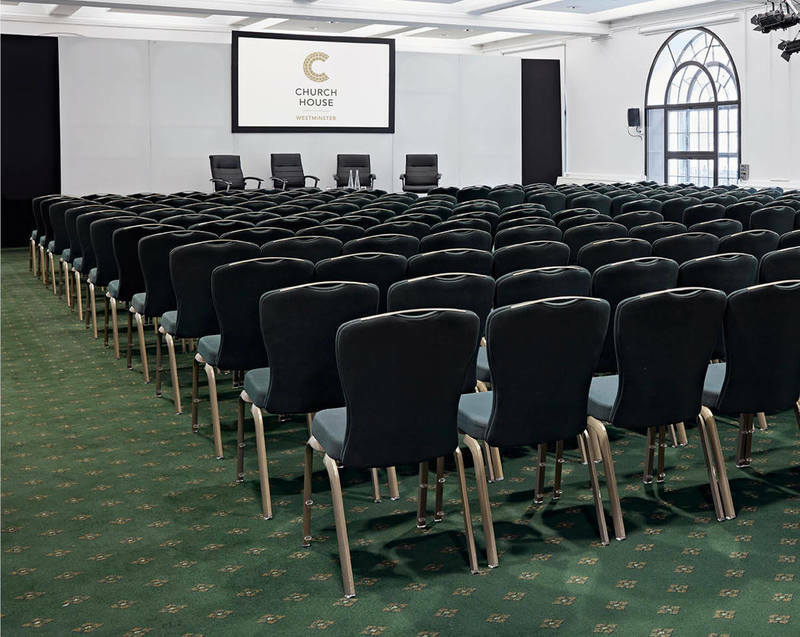 All styles can be used either for a main plenary session or as a breakout room from a larger event. Audio visual packages are also available for this room, including screen, stage and D&B sound system. 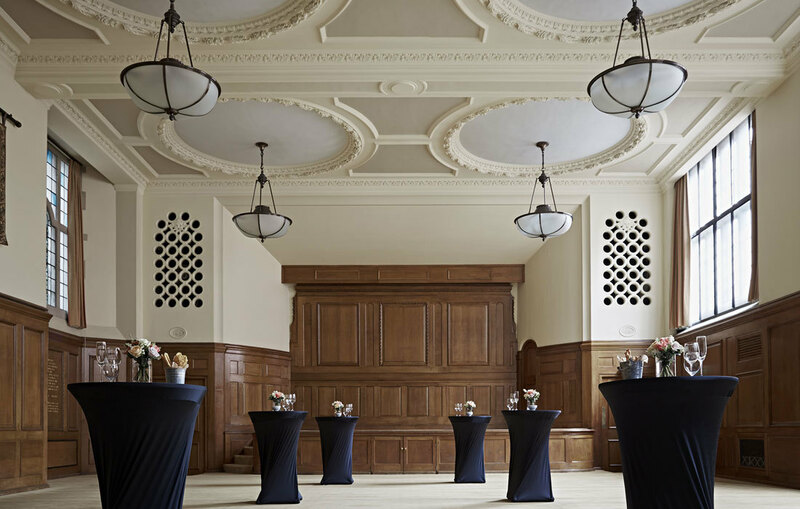 Evening events are very popular in the Hoare Memorial Hall, the events space can accommodate 250 for a standing reception, which can be accompanied by many delicious menu options from our in-house catering team, including bowl food, canapés and finger food. For a seated dinner guests can choose from either a three or four course dinner, and the capacity for a seated lunch or dinner is 150 people.